Today I'm showcasing these two cute little Cone and Cake Spiders. This set will be available in the store tomorrow. I had so much fun putting this layout together, I really don't make many of them so it was a nice change. 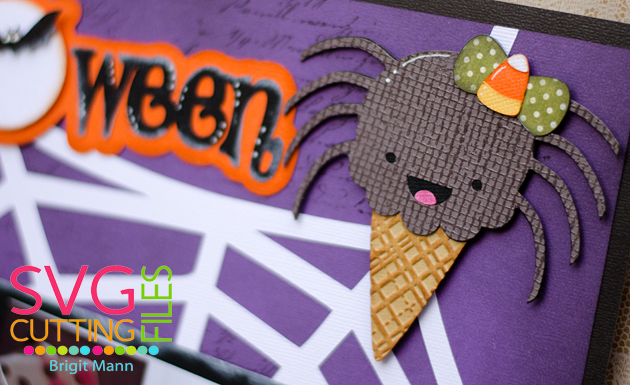 The spider web I used is from the Spider Web Boo Door Hanger and the title is the Halloween Title set. All the candy corns are from the spiders just resized. 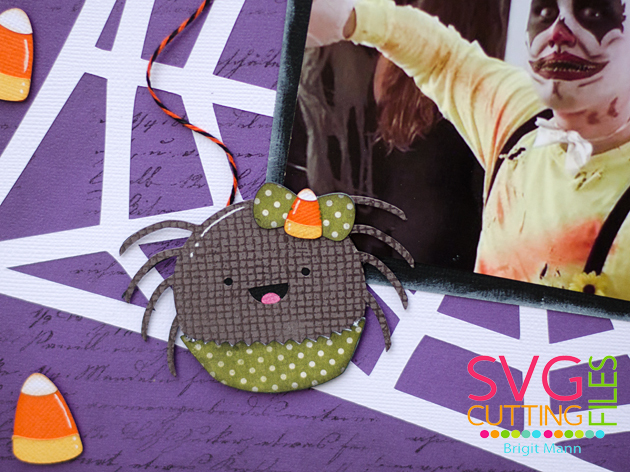 To create the background paper I used MCT Build A Scripty stamp, really wanted the focus on the cute little yummy spiders!! So darn cute had to tell you again! !